JSW Infrastructure plans to undertake expansion of its port cargo handling capacity. The capacity at Jaigarh port in the state of Maharashtra will be increased from 40 million tonnes per annum (MTPA) to 80 MTPA over the next three years. 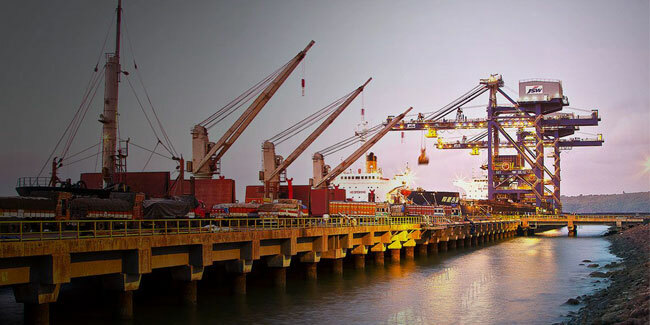 JSW Dharamtar Port, at Dolvi in Raigad District of Maharashtra, is an existing port and terminal facility, located in Amba River about 23 Nautical Miles away from Mumbai Harbour by sea route. The port has five berths with a depth of 4.5 metres. The port capacity will be increased from 15 MTPA to 40 MTPA. Likewise among other ports, the Paradip iron ore berth capacity will be enhanced to handle 18 MTPA and the coal berth capacity of 32 MTPA is targeted. JSW Group is likely to invest Rs 8,800 crore over the next three years and expand cargo handling capacity from the current 75 MTPA to 200 MTPA by 2020.